EASY TO SET UP!! 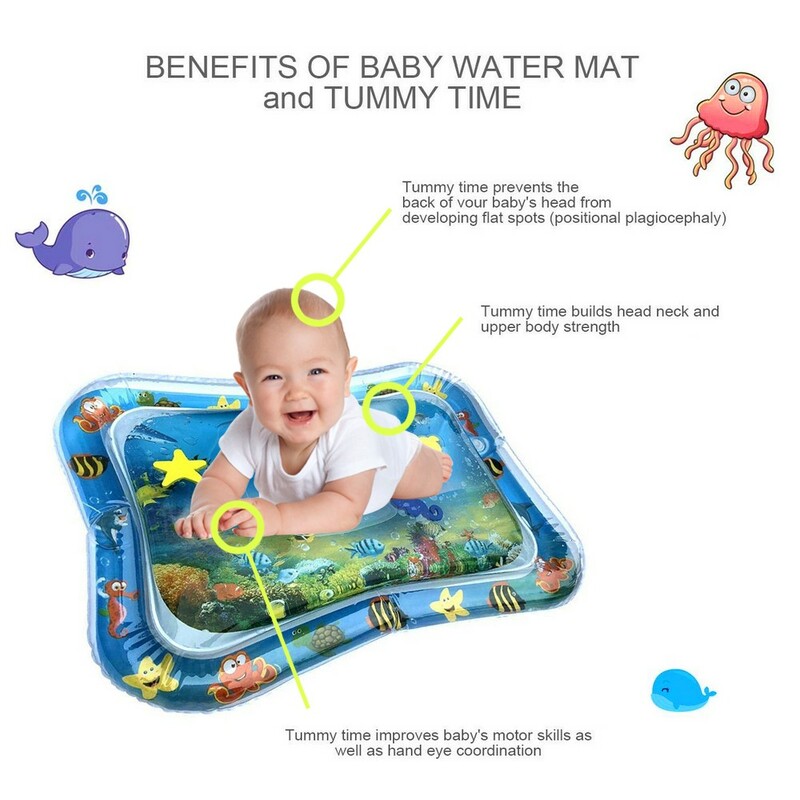 Simply fill the outer ring with air and the inner mat with your desired level of tap water, set it on the floor and let the fun begin! It folds easily when empty into your purse or toy bag to bring along anywhere you go. 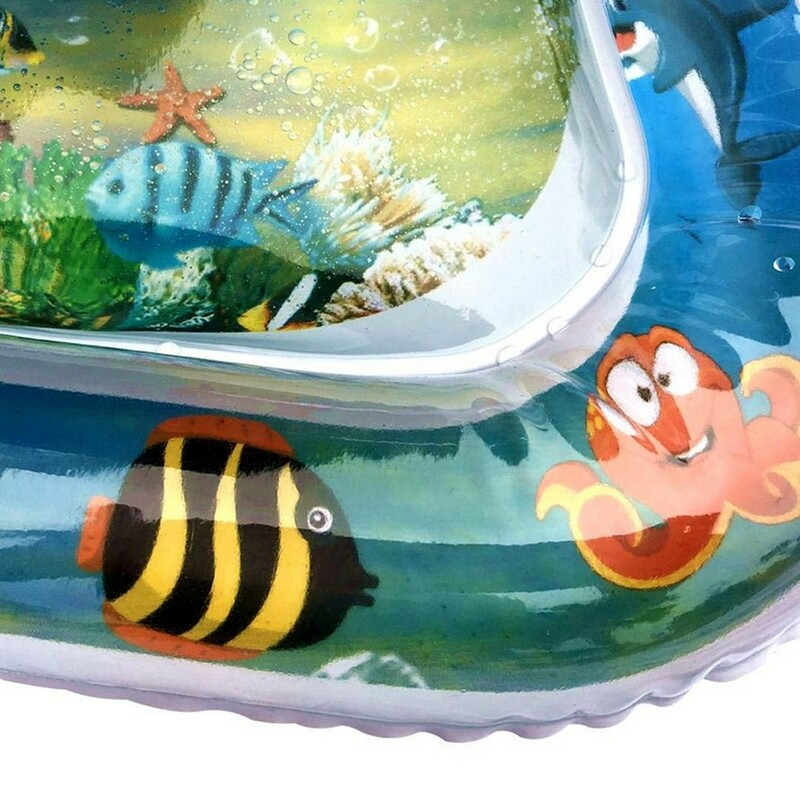 This baby splash pad will provide hours of quality stimulating and healthy fun. 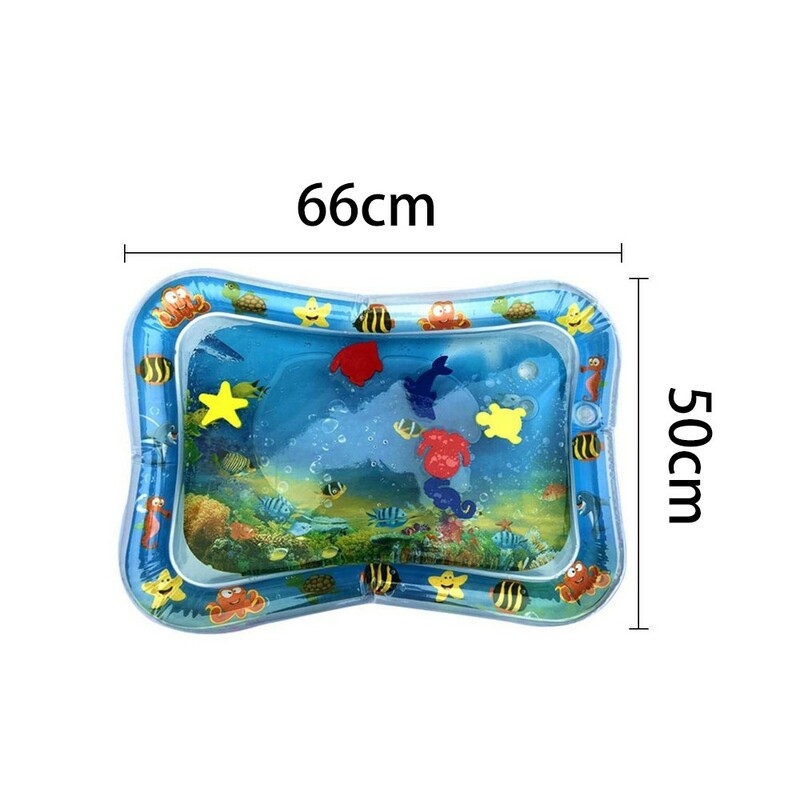 STUNNING, EYE CATCHING GRAPHICS Watch as your infant enters our fish tank WONDERWORLD, wide eyed and FASCINATED by the bright colors, sharp contrasts and cute floating toys. Rain or shine is tummy time! Your baby will try to catch and bat the brightly colored toys as they float by. 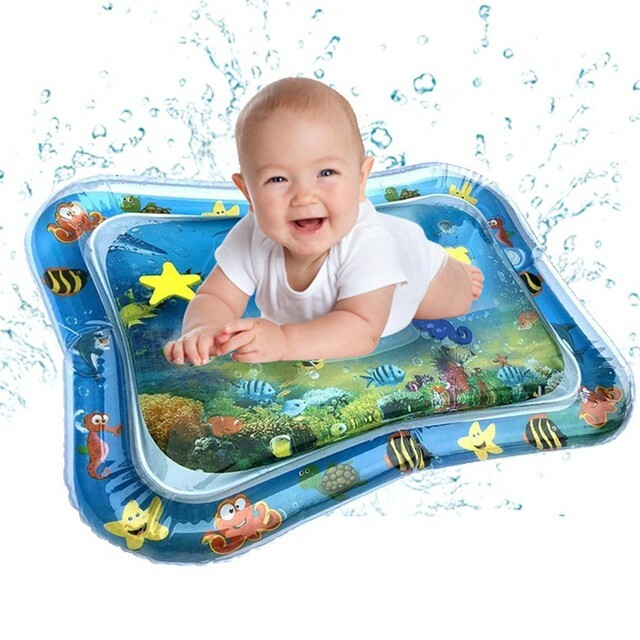 This baby splash pad will provide hours of quality stimulating and healthy fun. 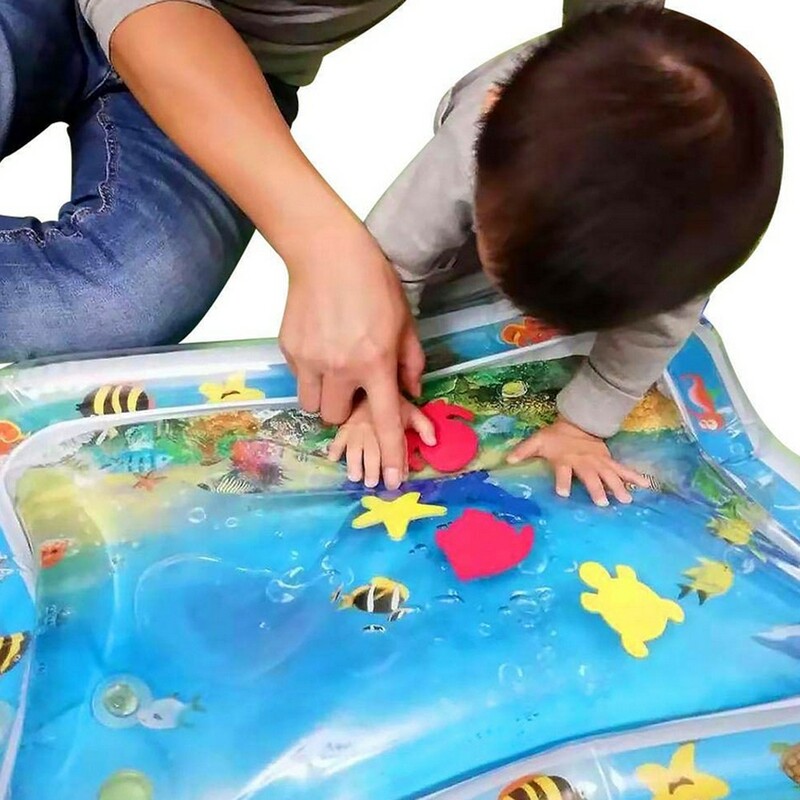 STIMULATES BABY DEVELOPMENT ：The water fill is an essential tool for developing solid head, neck and shoulder muscles as well as honing hand-eye coordination, fine motor and social skills. It is a sensory delight that enhances brain development.